I’m sure he **is** trying to out-Loon the other loons. But to say he’s “a lot tamer” than they are? Again: you have no evidence of that. There's plenty of proof of it. He's anti assault rifle and pro universal background checks. But otherwise supports the second amendment for everyone else. He supports abortion in some cases which is liberal. But is not vocal about being pro choice on all other forms of abortion. As I've said before, he has the backing of the religious left. Your comment about "all lives matter"... that was in regards to a comment he made supporting his police. He was supportive of his police in South Bend. These are all liberal positions. But contrast that to the rest of the field that hates all guns, supports all abortion with no ethical qualms, and is so pro-BLM that they justify attacks on police. That is much, much tamer in the field. Of course he's lefter on gay rights. And he may be further left on climate change. But he is most definitely tiptoeing around being a social justice candidate, and it really shows. You can put makeup and a wig on a turd, give it a pretty name, and swear that it is not a turd, but, my friend, you still have yourself a turd. A pretty turd, maybe, but a turd nonetheless. No thank you! You seem nice and all, but you're a super silly goose! A lot of folk seem to think anything that goes 'bang' are assault weapons, which apparently includes white men these days. Has he defined what he thinks an “assault weapon” is? Shall I tell you where this train of thought leads if left unchecked? I don't know where he draws that line. It will no doubt be left of where you stand. I am just guessing that since he acknowledges the importance of the second amendment, while other Dems stomp on it, and since he lives in a small town he's going to be a lot more moderate on where that line is drawn than other candidates. That's not saying he's right. It's just pointing out how loony most of the Dem field is on the issue. Does he live in South Bend? South Bend isn't exactly New York City, but it's far from small. I bet our definitions are the biggest things keeping us separated. Hell, the population of my entire county is less than South Bend. You could throw in all the counties that touch mine, and you are STILL probably smaller population wise. Small town isn't the best way to describe it. True. I grew up in a town of 30K, and I know that's technically not "small" by many standards. I am just pointing out that citizens of cities and towns of this size especially in a state like Indiana are likely to be a lot more pro gun. 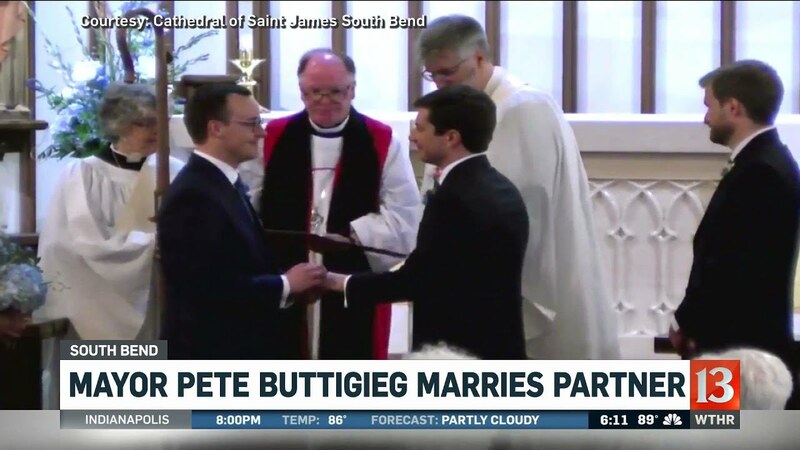 As the mayor of South Bend, Buttigieg is a member of Mayors Against Illegal Guns, a group that advocates for gun control legislation at the state and federal level. He also supports universal background checks, and opposed allowing guns in schools and so-called "Stand Your Ground" self-defense gun laws. 'a lot of folk' includes white men? that stance is not much different from the vast majority of liberals. Again, you're asking why a liberal isn't conservative. But not all liberals support some gun laws while respecting the second amendment. Again, an obvious red flag for staunch gun supporters. But that's not exactly his demographic anyway. 2. Get confronted with him pushing liberal ideas, then make excuses for him. It’s really annoying. If you can’t show any evidence of him taking any middle of the road positions then just admit so.